From a loosening of Medicare Advantage uniformity requirements and telehealth restrictions to an expanded definition of supplemental benefits that MA plans may incorporate into bids, 2018 was the year of flexibility as CMS repeatedly rolled out rulemaking and subregulatory guidance. Here, industry experts share their predictions for 2019 on several key themes, including benefit design, industry consolidation and payment reform. To read the full article from Radar on Medicare Advantage view the pdf: Consolidation, Innovation, Flexibility Will Shape Year for MAOs and learn more about Kevin Palamara and Jon Brown‘s thoughts. 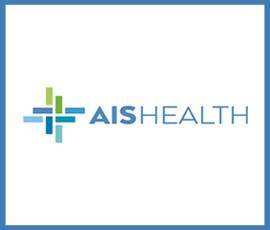 AIS Health is a publishing and information company that has served the health care industry for more than 30 years. Our mission is to provide our readers with an actionable understanding of the business of health care and pharmaceuticals. Our in-depth writing covers the companies, people, catalysts and trends that create the richly textured contours of the health care and drug industry. AIS Health maintains journalistic independence from our parent company, MMIT. We are committed to integrity in reporting and bringing transparency to health industry data. Visit AIS Health at https://aishealth.com/.